The main advantages offered by the newly developed lithium-ion battery are its very compact dimensions and its far superior performance compared to conventional nickel-metal hydride batteries. The weight/power ratio of the entire battery is 1,900 watts per liter (W/L). What's more, the battery stands out by virtue of its high ampere-hour efficiency, long service life, and great reliability, even at very low temperatures. Its high level of safety is the equal of that provided by today's auto batteries. Lithium-ion batteries are ideally suited for use in hybrid vehicles to help reducing fuel consumption and thus also CO2 emissions. At the same time, the Daimler engineers are investigating to what degree this technology can be applied to other vehicle concepts, such as electric and fuel cell-powered cars. 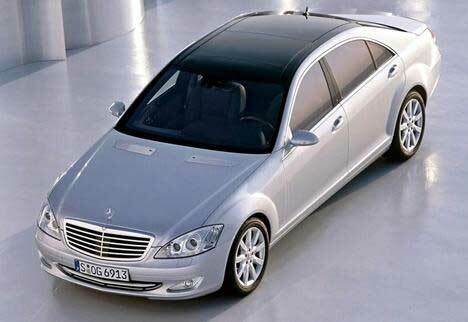 The S 400 BlueHYBRID consumes only 7.9 liters of gasoline per 100 km in the NEDC. This results in very low CO2 emissions of only 190 grams per kilometer, a very low value for this vehicle class and power class, making the S 400 BlueHYBRID the world's most economical luxury sedan -- unrivaled by any gasoline, diesel, or hybrid drive system offered by any competitor. And S 400 BlueHYBRID drivers will still enjoy impressive performance: combined with the hybrid module, the maximum output is 220 kW/299 hp, and the corresponding maximum torque is 375 Nm. The S 400 BlueHYBRID accelerates from zero to 100 km/h in 7.3 seconds on its way to an electronically limited top speed of 250 km/h. While on the topic I should mention Toshiba recently had a battery breakthrough called SCiB which allows a battery to charge to 90% of its capacity in five minutes. I wonder how getting SCiB technology into cars will change the world. I should also point out that Tesla Motors was the first company to use Lithiom Ion technology in a car. 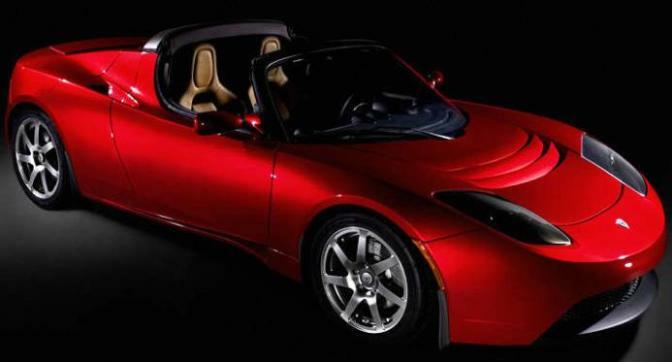 The Tesla however is more of a performance automobile touting a sub 4-second zero to sixty time. Mercedes is differentiating itself by saying their technology applies to a passenger car. It will be interesting to see what the blogosphere does with this Daimler announcement and moreover will the German automaker come after Tesla Motors for patent infringement? This news may not have an immediate benefit in the consumer electronics space but assuming this trend continues, the sheer volume of batteries needed by the automotive market will make these batteries much better. While a single lighter battery is great for a laptop, when you are using these batteries by the hundred in a moving vehicle, every fraction of an ounce of weight translates into worse fuel economy. The automotive market may end up being what gets battery technology in the tech and consumer electronics market to drastically improve. \nFor over a decade now we have witnessed Moore's Law in action, making microprocessors cheaper and faster. Ditto for hard drives and memory. What we haven't seen however is a dramatic improvement in battery technology. \nIt seems lately this may be coming to an end as Daimler has announced they have adapted lithiom-ion battery technology for a passenger car. \nThe new battery will be used in the series-production S 400 BlueHYBRID beginning next year. Apparently there are 25 patents held by the company which cover the battery technology being used in a car. \nLithium-ion batteries are ideally suited for use in hybrid vehicles to help reducing fuel consumption and thus also CO2 emissions. At the same time, the Daimler engineers are investigating to what degree this technology can be applied to other vehicle concepts, such as electric and fuel cell-powered cars. \nThe S 400 BlueHYBRID consumes only 7.9 liters of gasoline per 100 km in the NEDC. This results in very low CO2 emissions of only 190 grams per kilometer, a very low value for this vehicle class and power class, making the S 400 BlueHYBRID the world's most economical luxury sedan -- unrivaled by any gasoline, diesel, or hybrid drive system offered by any competitor. And S 400 BlueHYBRID drivers will still enjoy impressive performance: combined with the hybrid module, the maximum output is 220 kW/299 hp, and the corresponding maximum torque is 375 Nm. The S 400 BlueHYBRID accelerates from zero to 100 km/h in 7.3 seconds on its way to an electronically limited top speed of 250 km/h. \nWhile on the topic I should mention Toshiba recently had a battery breakthrough called SCiB which allows a battery to charge to 90% of its capacity in five minutes. I wonder how getting SCiB technology into cars will change the world. \nI should also point out that Tesla Motors was the first company to use Lithiom Ion technology in a car. The Tesla however is more of a performance automobile touting a sub 4-second zero to sixty time. \nMercedes is differentiating itself by saying their technology applies to a passenger car. It will be interesting to see what the blogosphere does with this Daimler announcement and moreover will the German automaker come after Tesla Motors for patent infringement? \nThis news may not have an immediate benefit in the consumer electronics space but assuming this trend continues, the sheer volume of batteries needed by the automotive market will make these batteries much better. While a single lighter battery is great for a laptop, when you are using these batteries by the hundred in a moving vehicle, every fraction of an ounce of weight translates into worse fuel economy. \nThe automotive market may end up being what gets battery technology in the tech and consumer electronics market to drastically improve.